Running back Orleans Darkwa is still without a job, but he had at least one opportunity to sign with a team before the start of the season. The Redskins tried to sign the ex-Giants running back in August, but rejected their offer of a one-year deal for the minimum salary, Peter King of NBC Sports hears. The one-year, ~$1MM offer wasn’t good enough for Darkwa, but it was enough to get Adrian Peterson to sign. And, as it turns out, the chain of events worked out just fine for the Redskins. The 33-year-old Peterson is averaging 4.4 yards per carry through eight games, helping propel the Redskins to a 5-3 mark at the midway point. “If we sign Darkwa, we wouldn’t have signed Adrian,”senior VP of player personnel Doug Williams said. Darkwa’s last known audition came on Oct. 2 when he worked out for the Jaguars. He ranks as one of the best available running backs left on the market, but at this point, he may have to accept a minimum salary contract if he wants to play. The Patriots worked out free agent running backs Orleans Darkwa and Charles Sims, as well as receiver/returner Brandon Tate, on Tuesday, according to Mike Reiss of ESPN.com (Twitter link). New England placed running back Jeremy Hill on injured reserve earlier today, but they also signed Kenjon Barner, so it’s unclear if the club is still interested in adding another runner. Barner is more a returner than a true back, so it’s possible the Patriots want to bring in another back to complement Rex Burkhead, James White, and Sony Michel, the latter of whom was inactive on Sunday. Playing for the Giants in 2017, Darkwa posted the best campaign of his NFL tenure in by setting career-highs in starts (11), rushes (171), yards (751), and touchdowns (five). Football Outsiders ranked Darkwa as a top-25 running back in both DYAR and DVOA (meaning he was both effective overall and efficient on a per-play basis), while Pro Football Focus noted his ability to create his own yardage. Darkwa previously met with the Patriots back in April. Sims, meanwhile, has shown flashes of ability during his run in the NFL, especially during a 2015 campaign in which he caught 51 passes for the Buccaneers. While he’s never been much of a ball-carrier (he handled a career-high 107 carries in that 2015 season), Sims is a viable pass-catcher, but he doesn’t contribute on special teams. Adrian Peterson and Jamaal Charles made plans to visit the Redskins this weekend, following Orleans Darkwa in doing so. This effort to add a piece to a reeling backfield won’t be to bring in a starter but to add depth to a position group that needs it. Jay Gruden said (video link) his team is “covering our bases” in arranging visits with these free agent backs. Being merely a four-year veteran with a light carry history, Darkwa certainly has the most left in the tank. He led the Giants in rushing last season. 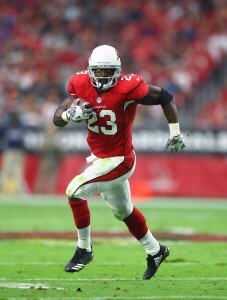 Peterson, though, has recent experience fitting in quickly with a new team. Although he didn’t do well on a per-carry basis behind a struggling Cardinals offensive line, the future Hall of Fame back posted two 130-plus-yard performances last season — the first of which coming in his initial Cards game. Charles fell out of the Broncos’ rotation late in the season, but the two-time All-Pro made it through last year healthy and performed fairly well (4.3 yards per tote) before being shut down. Washington lost Derrius Guice and has Samaje Perine and Byron Marshall on the mend. Here’s the latest from some of the Redskins’ rivals, along with news out of the AFC East. Projected to be one of the Cowboys‘ starting safeties, Xavier Woods will be out between three and four weeks because of a hamstring injury, Calvin Watkins of The Athletic tweets. Dallas has been linked to Earl Thomas throughout 2018 and is now examining recently released George Iloka. The Cowboys selected Woods in the sixth round last year and deployed him in four games as a starter. Kenny Britt is still dealing with the hamstring injury he suffered during Patriots minicamp. The veteran wideout has not participated in 11-on-11 drills since that setback, Doug Kyed of NESN.com notes. The Pats removed Britt from the PUP list two weeks ago, and the soon-to-be 30-year-old receiver said he’s feeling OK presently. He declined to predict whether or not he’ll be ready for Week 1. The Patriots signed Britt late last season and picked up his 2018 option in March, but considering how poorly he played with the Browns and his injury status, it wouldn’t be a shock if he’s not on the roster by September. The Pats have endured a turbulent offseason at this position, cutting both Jordan Matthews and Malcolm Mitchell, signing Eric Decker and seeing Julian Edelman incur a four-game PED suspension. The Giants made a change in their sub-package alignment Sunday, swapping in Ray-Ray Armstrong for B.J. Goodson at one of the two linebacker positions, per Ryan Dunleavy of NJ.com. Armstrong and Alec Ogletree worked as Big Blue’s nickel ‘backers at practice. Armstrong played safety in college and has bounced around in the NFL, seeing action with the Rams, Raiders and 49ers before joining the Giants last year. Pro Football Focus graded both Goodson and Armstrong as poor coverage players last season. The Redskins will host free agent running back Adrian Peterson on Monday, according to Ian Rapoport and Mike Garafolo of NFL.com (Twitter link). Washington is in serious need of backfield depth, especially after losing presumptive starter Derrius Guice to a torn ACL. Meanwhile, Samaje Perine is expected to miss at least a week with an ankle injury, and Byron Marshall could be sidelined for a month with his own ankle issue. The Redskins also waived/injured running back Martez Carter earlier today, leaving them with Rob Kelley, Chris Thompson, and Kapri Bibbs as their only health backs. Guice was expected to handle early-down work for the Redskins, and that’s a role Peterson can conceivably still handle. However, the 2017 campaign wasn’t Peterson’s finest, as he averaged just 3.4 yards per carry on 156 rushes between the Saints and Cardinals. That was the second-lowest figure league-wide among backs with at least 150 carries, while Peterson also finished 46th among 47 RBs in Football Outsiders’ DVOA, meaning he wasn’t efficient on a per-play basis. At his best, of course, Peterson is a Hall of Fame-caliber player, and he managed more than 1,400 yards on the ground as recently as 2015. His pass-game deficiencies aside, Peterson could give Washington a Guice replacement, one capable of handling running downs before ceding to Thompson on passing plays. The Redskins worked out fellow running backs Orleans Darkwa and Jamaal Charles on Sunday, but it doesn’t appear Washington is in a hurry to sign either player, per Josina Anderson of ESPN.com (Twitter link). Free agent running back Orleans Darkwa will work out for the Redskins on Sunday, according to John Keim of ESPN.com (Twitter link). If he were injury-free, Darkwa almost surely would have landed a new contract by now, but a May surgery to remove a plate in his leg likely concerned interested clubs. Darkwa received medical clearance more than a month ago, but still has yet to find a new home. 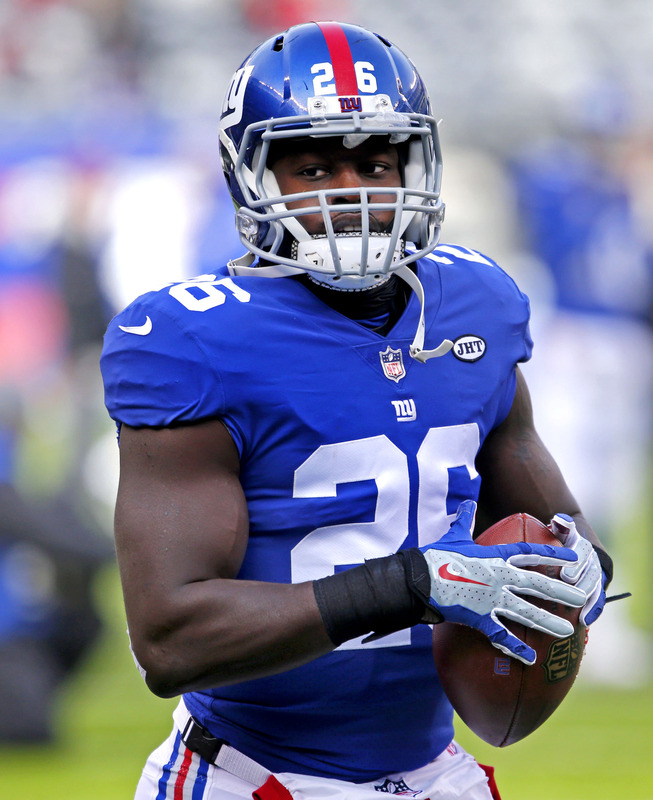 Playing for the Giants in 2017, Darkwa posted the best campaign of his NFL tenure in by setting career-highs in starts (11), rushes (171), yards (751), and touchdowns (five). Football Outsiders ranked Darkwa as a top-25 running back in both DYAR and DVOA (meaning he was both effective overall and efficient on a per-play basis), while Pro Football Focus noted his ability to create his own yardage. Per PFF, Darkwa not only managed 67% of his rushing yards after first contact, but performed well in Yards Created, a metric which filters out game situation, score, offensive line performance, and other variables. Thus far, the Colts, Patriots, Jets, and Bills have brought in the 26-year-old for a visits. The Jets reportedly don’t have any immediate plans to sign Darkwa, but the other clubs haven’t specifically ruled him out. Poll: Which UFA RB Should Redskins Target? Washington’s backfield corps absorbed a major blow Friday when news of Derrius Guice‘s ACL tear surfaced. The second-round pick had impressed during camp and was set to be a key part of the Redskins’ 2018 backfield. Now, the Redskins are vulnerable here. Chris Thompson admitted he’s not fully recovered from the broken leg he suffered last season, leaving Rob Kelley and Samaje Perine as the team’s top two healthy running backs. Under the circumstances, it would seemingly behoove the Redskins to examine free agent options. Should they? Washington holds $13MM-plus in cap space, so funding won’t be an issue here given the timing of this injury and the host of proven backs on the market. Of the players available, Orleans Darkwa has generated the most interest this offseason. The Giants’ 2017 rushing leader met with the Patriots in April, before undergoing surgery, and since recovering has met with the Bills, Jets and Colts. Each team passed, but Darkwa has just 276 carries on his NFL odometer. And he averaged 4.4 yards per tote despite running behind an injury-ravaged Giants offensive front. Alfred Morris led the Redskins in rushing for four straight seasons, and he averaged 4.8 yards per handoff last season as the Cowboys’ primary starter during Ezekiel Elliott‘s suspension. 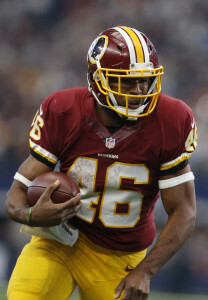 The former sixth-round Washington find is 29 and hasn’t generated much interest since his Cowboys contract expired, although he did visit the Jets recently. Eddie Lacy‘s also fairly young, at 28, but he’s coming off a brutal Seahawks season. After providing per-carry averages north of 4.0 in each of his four Packers seasons, Lacy averaged just 2.6 yards per run for the Seahawks. Branden Oliver has not been as successful on a per-rush basis, holding a career average of 3.4, but he totaled 853 yards from scrimmage as a seven-game starter as a rookie in 2014. Oliver also drew interest from the Bills this summer. What about the market’s old guard? Adrian Peterson is obviously the first name that comes to mind, and the future Hall of Famer maintains he would like to play a 12th season. Peterson said he’s now healthy and has recovered from the neck injury that ended his 2017 season. 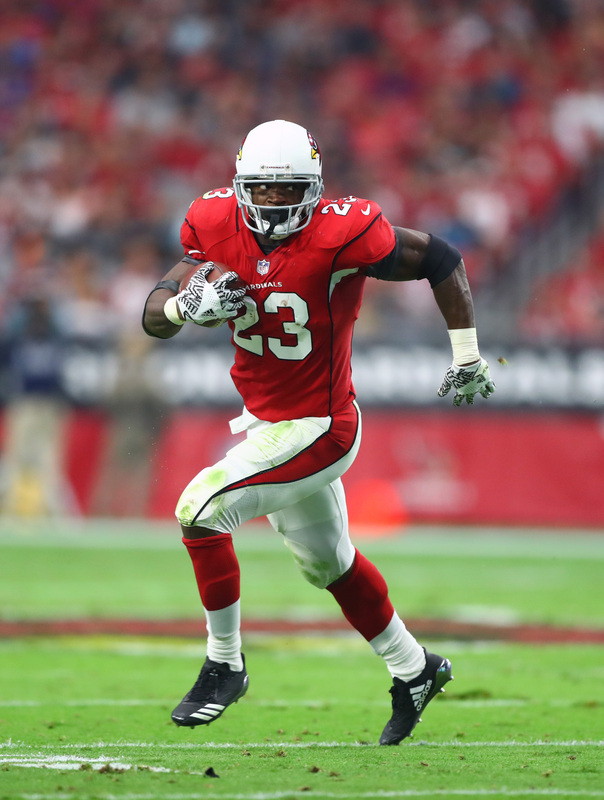 While the three-time rushing champion’s best days are behind him, he amassed two 130-plus-yard games with the Cardinals, doing so despite being a midseason acquisition. Jamaal Charles, 31, made it through last season healthy after extensive knee trouble plagued him in 2015 and 2016, but the Broncos took him out of their rotation. Nevertheless, the two-time All-Pro led Denver backs by averaging 4.3 yards per carry (albeit on just 69 handoffs). 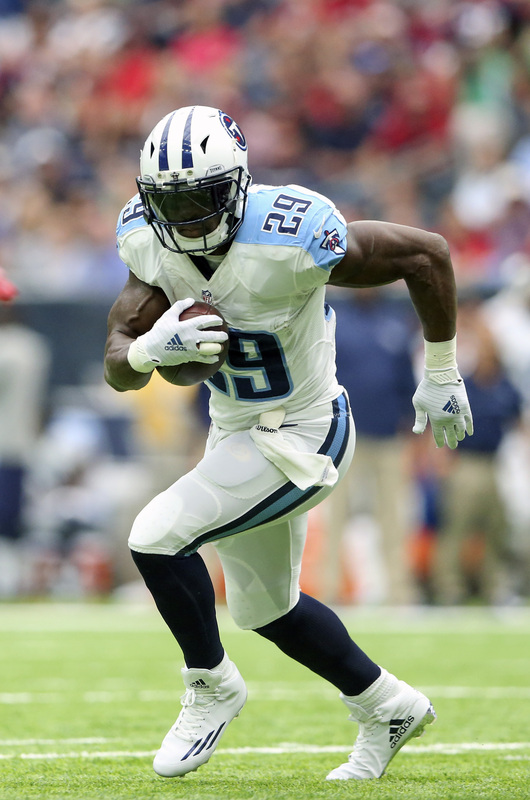 DeMarco Murray retired, but he made it clear shortly before that announcement he was interested in playing this season. Could this situation lure the 2014 offensive player of the year out of retirement? However, the Redskins also have former Broncos backup Kapri Bibbs and third-year UDFA Byron Marshall. Should they bypass the market and go with a cast fronted by Kelley and Perine? Vote in PFR’s latest poll and weigh in with your thoughts on this situation in the comments section! The Colts plan to audition free agent running back Orleans Darkwa, according to Ian Rapoport of NFL.com (Twitter link). Thus far, Darkwa has only met with AFC East clubs, as the Patriots, Jets, and Bills have brought in the 26-year-old for a visits (the New York and Buffalo meetings both occurred within the past week). New England doesn’t look like a landing spot any longer after the team added Sony Michel in the first round of the draft, and the Jets also have no “immediate” plans to sign Darkwa, per Rapoport. At present, the Colts are set to rely on Marlon Mack, Christine Michael, and rookies Nyheim Hines and Jordan Wilkins in their backfield, at least until veteran Robert Turbin returns from a performance-enhancing drug suspension. Darkwa doesn’t represent the first free agent back Indianapolis has looked at, as the club worked out Terrance West in May before he signed with the Saints.